Earn points on all online and in-store purchases with The Lodge Rewards Program. 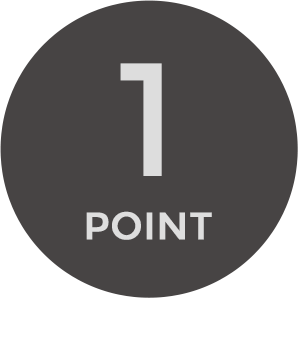 Earn 1 point for ever dollar you spend. For every 150 points you earn, we'll give you $10 in Lodge Rewards. 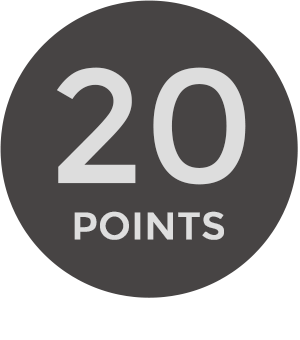 Earn 20 bonus points when you create an account. Earn 50 points when you refer a friend. Every 150 points you earn gets you $10 in product credit to be used towards anything in our shop. Create a Customer Account. Click here to sign up. If you have an existing account, you're already signed up. Earn Rewards. Get 1 Lodge Rewards point for every $1 spent in our shop, excluding shipping fees and sales tax. Tell a Friend. Get 50 rewards points for every referral. 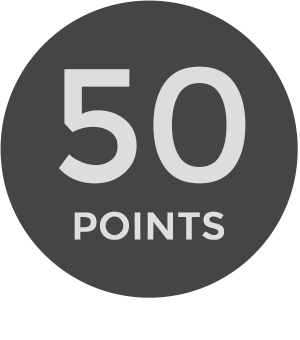 They save 10% and once they spend $30, you'll earn 50 points. There is no limit to how many friend referrals you can make. Redeem Rewards. Your Lodge Rewards points are redeemable for discounts on our merchandise. Every 150 points earns you $10 in product credit to be used towards anything in our shop. Redeem points here. To view your account balance simply click here to login to your account. Once you have logged in to your account, you can refer a friend to The Lodge. Your referral will generate a code for your friend to earn 10% off of their first purchase. They will need to create a Customer Account with us to redeem the code. For every friend that makes a referral purchase, you will earn 50 Rewards Points. These points will become redeemable 30 Days after your Friend's order is fulfilled. The 10% Discount applies only to the value of the items purchased and does not apply to shipping fees or sales tax. You may refer as many friends as you like, there is no limit. The Rewards Program is open to all customers of The Lodge. An account is required to join and the program is completely free. Reward Points are not redeemable for cash and have no cash value. Rewards are given in the form of a coupon code to be used as a promotion at checkout. No other coupon codes may be used in conjunction with your rewards code. The order you apply your reward to must have a value equal or greater to your reward. You may begin to redeem rewards once you have accrued 150 Reward Points. Every 150 points earns $10 in credit towards your future purchase. Reward Points may not be transferred to other customers. Reward Points will not be earned on purchases of Gift Cards and cannot be redeemed for Gift Card purchases. Points may be earned purchased made on our online shop and in our New York City store. Point redemption codes can only be used online and are not usable in our New York City store. Reward Points are redeemable and approved 30 days after your order is fulfilled to allow for the return period to be completed. Any returns or order cancellations will results in a cancellation of Reward Points attributed to the returned or cancelled item purchase value. Reward Points must be used within 12 months of the date they become redeemable. Points not used after 12 months will expire and be forfeited. The Lodge reserves the right to adjust the rewards redemption level at any time, without prior notice. Rewards Points do not constitute a promise of future product availability or pricing. Our Lodge Rewards and Tell-A-Friend programs are developed and implemented in partnership with SLoyalty. Welcome to The Lodge Rewards Program. As a thank you for your loyalty to our shop, you'll earn points for purchases made here, as well as qualifying referrals.